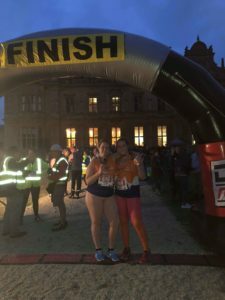 This week it’s Tillie & Eavie who took part in the Westonbirt Summer 10k with us. ‘Our mum is a well known PCSO in the Cotswolds and she was very hard working and loved by others. Other police officers inspired to be just as hard working as her. She was recently diagnosed with Motor Neurones Disease (MND) and it was very devastating for my mum and our family. MND is life shortening and there is no cure. In our mums case the disease is progressing rapidly and is having a major impact on her everyday life. 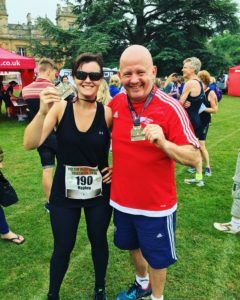 We both decided to do a 10k run for MND Association as they’ve been brilliant in helping us get the right support and equipment. 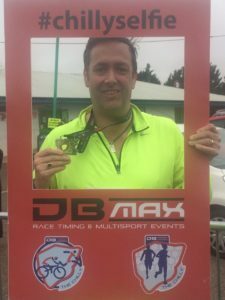 This week it’s Tristan Williams who took part in the Portishead Sprint Triathlon with us. 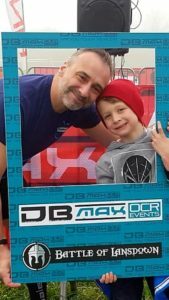 ‘In February 2017, after going to the doctors because I was suffering from the flu, I was rushed to Southmead Hospital because the doctor could not hear any air getting into my left lung. After a number of X-Rays and scans, I was told that I needed to be put into an induced coma due to having a serious infection in my lung along with suspected pneumonia. I was in the coma for 4 days and in the intensive care unit for 2 weeks. I’m sure that people will appreciate that this was a very stressful and worrying time for my family and friends. 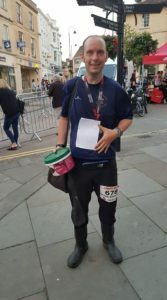 This week it’s Neil Wheeler who took part in the Chippenham Longest Day 10k with us. 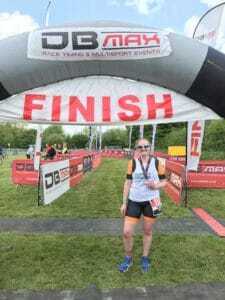 This week it’s Lucinda Dixon who took part in the blueseventy #51Fiver with us. 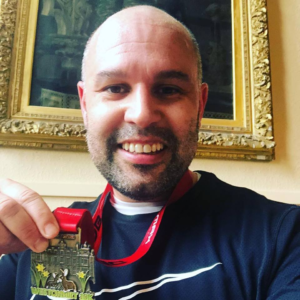 ‘I am raising money for two charities; Crohn’s and Colitis UK and Above and Beyond (the charity for Bristol city centre hospitals) both of which are very important to me. I have Crohn’s Disease and over the years had quite a rough time with it (I have tried and failed a number of medications, had four surgeries and had life threatening complications). Thankfully at the moment I am in remission and probably the most well I’ve been in years. 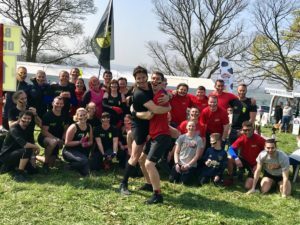 I am very fortunate to be looked after by the fantastic IBD team at the Bristol Royal Infirmary, which is why I’m raising money for Above and Beyond. 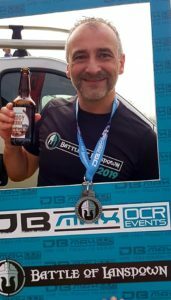 I am also fundraising for Crohn’s and Colitis UK as their information and support was particularly invaluable when I was first diagnosed; without it I would have felt very lost and isolated. I decided that in 2018 I would challenge myself and attempt to take part in one challenge a month for the whole year. My main events are swimming the Dart 10k and the #51Fiver!! 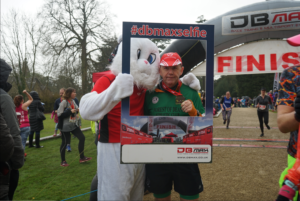 This week it’s Stuart Huke who took part in the Westonbirt House Easter 10k with us. 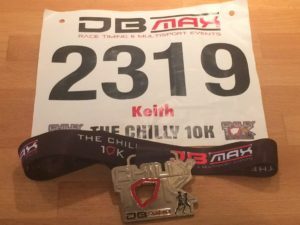 This week it’s Keith Lewis who took part in the Chilly 10k with us. 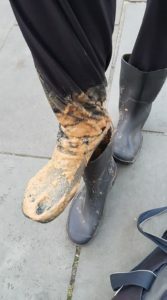 ‘In 2004 whilst at work I suffered a severe electric shock, leaving me with nerve damage which I still suffer to this day (no feeling in my lower right leg and some loss in my right hand). I spent almost a year in the Wessex Rehab Unit at Salisbury Hospital learning to get functions back to my right side and to help me walk properly again . My wife suggested maybe to try running so I started the couch to 5k with my GP’s support……..it began!! In 2012 I completed the Sports Relief mile from there it was the Great South Run 2014 raising £1622 for The Wessex Rehab. Trauma Care is a small NHS charity that aims to provide every patient across the country the same care in the treatment of severe trauma. I was given the chance through Trauma Care to run the London Marathon in 2016 which I did closing the book on an amazing journey, and yes tears were shed!! 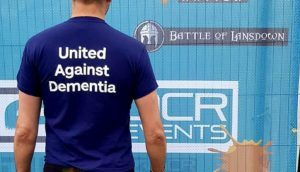 I still continue to run for fun and to raise monies for my chosen charity. 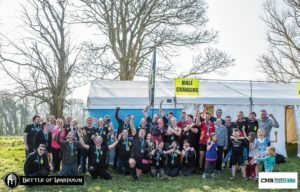 Last year I ran the Great North & South Runs amongst others. 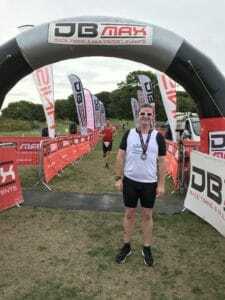 I have currently raised over £3,300 via my Just Giving page because of the extremely good care I received, I can now run. So hopefully somebody else will get the same level of care I received due to trauma care, helping to raise a level of equal awareness throughout the NHS.